After teasing his original score for Luca Guadagnino's Suspiria remake late last week, Thom Yorke has now detailed the anticipated soundtrack effort. Yorke's two-disc Suspiria score will arrive on October 26 through XL Recordings. The effort, available for pre-order here, marks Yorke's first feature film soundtrack, which will come as a double-LP and a two-CD. That's its cover art above. The Radiohead frontman has also shared the first full song from the effort. Titled "Suspirium," it finds Yorke's voice accompanied by piano and flute. You can hear it below via an animated video. The album is a mix of instrumental score work, interstitial pieces and interludes, and more traditional song structures featuring Thom's vocals such as "Unmade." "Has Ended." and "Suspirium," the album's first single featuring the melodic theme that recurs throughout the film and its score. 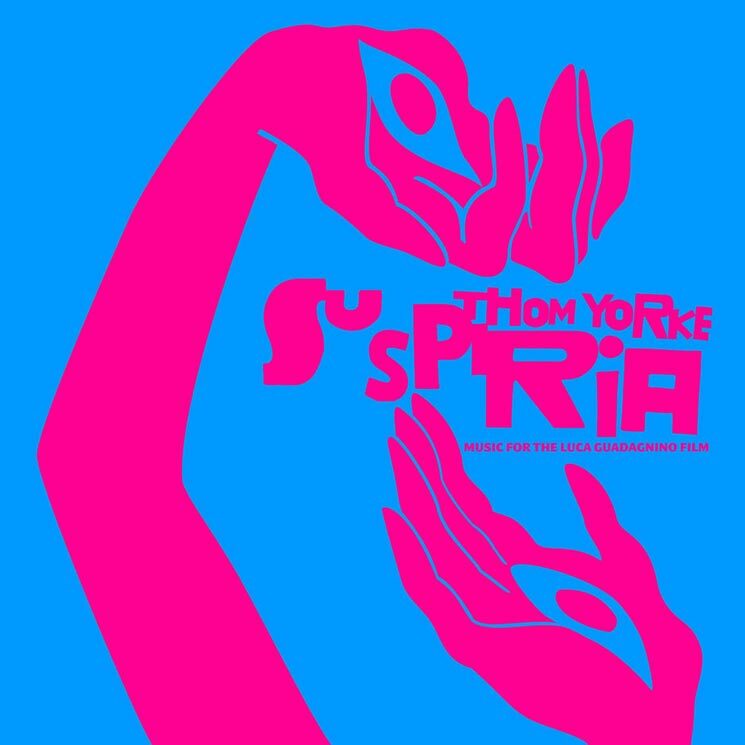 Suspiria was written and arranged by Yorke, and recorded and produced by Thom and Sam Petts-Davies. It features the London Contemporary Orchestra and Choir, Noah Yorke on drums on "Has Ended" and "Volk," and Pasha Mansurov on solo flute on "Suspirium." Guadagnino's remake of Suspiria hits theatres on November 2. Revisit the latest trailer here.